They used trains and built train stations. 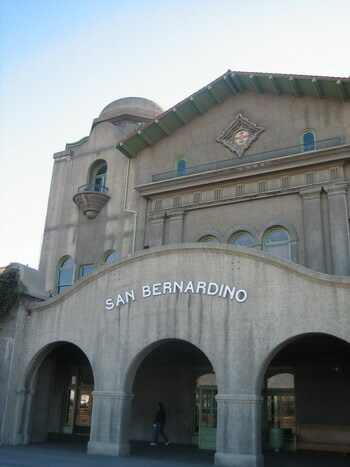 One of them is the Santa Fe Depot in San Bernardino. This building, which replaced an earlier structure, was officially opened in 1918. 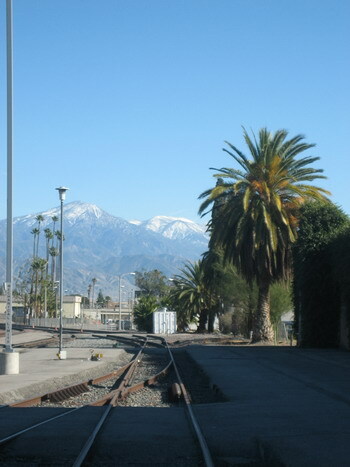 At that time this was the largest and finest train station west of the Mississippi. 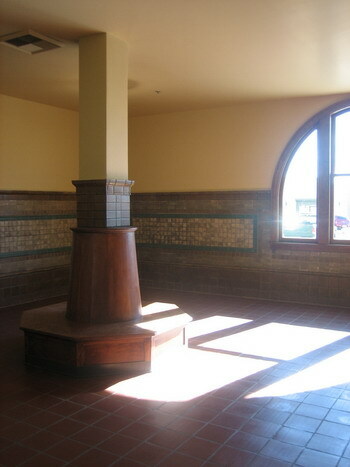 As the former station building had burned down, the new structure was build to withstand fires, using mostly bricks and glazed tiles for the roof and interior decoration. 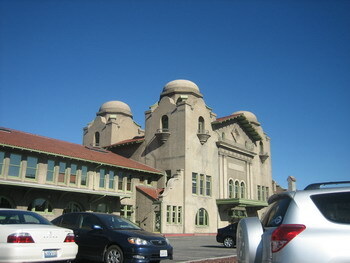 The Santa Fe Depot was extremely busy until the 1950s, when the general decline of rail travel began all over the United States. With the decline in travel came the decline of the building. This changed in 1992, when efforts to restore the historic building where started. Restoration began in 2002; a few years and $ 15 Mio. later the station was reopened in 2008. 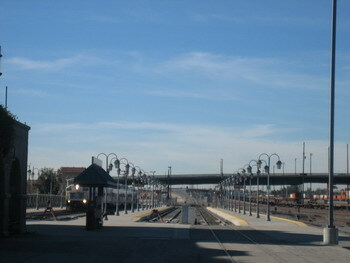 Today the Santa Fe Depot is serviced by Amtrak (once a day) and by three Metrolink lines. The building also houses a small museum (open on Saturdays) and office space is for lease. Just imagine – sitting in an office where one is reminded every day of the long and amazing history of train travel in the West. Just for good measure I’ll throw in another of my favorite winter motif. The little detail shot gives one just a hint of how wonderful it looks throughout and how impeccable the building has been restored. Incidentally, that is the “Restroom” for the ladies. All around the walls there used to be sofas upholstered in red velvet, they had an adjacent room where the slightly dusty and travel vary ladies could freshen up and of course they had the actual room with the loos (lots of marble in there, nice and cool, clean and fresh). As they said, it was the finest station west of the Mississippi. I haven’t been here in a while. Ken has been in the hospital since Dec. 16 with a nasty case of MRSA. I’m feeling a little frazzled. 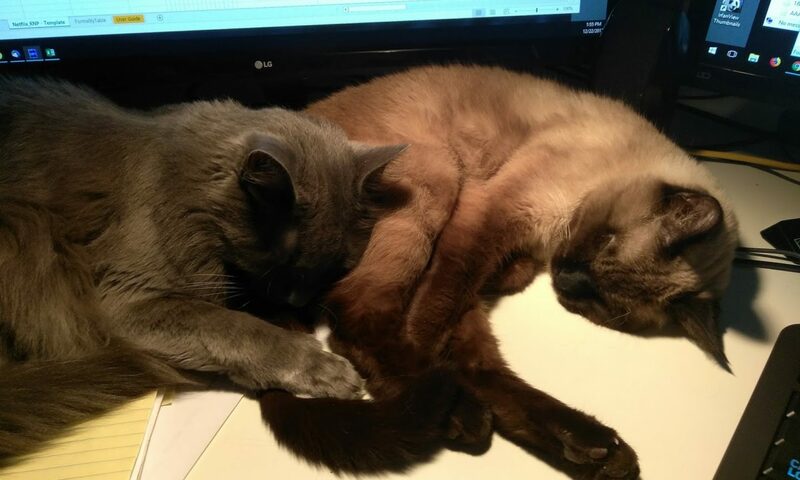 He is getting over the MRSA, but the cancer has grown, although the oncologist described it as “not significant”. He will have to be on IV antibiotics and in the hospital another 4 to 8 weeks. And then it will be another few weeks before he can have chemo again. He’s been on a lot of morphine. The MRSA settled in his foot, and he had to have it opened and drained 4 times. It was quite painful. But it’s healing now. I love the new look of your blog. Very cheerful. We have some lovely old train stations in Texas. A lot of them are exemplars of the age in which they were built. Many have been preserved as historic buildings. I remember when train travel was a big, luxurious undertaking. I miss that sort of travel. I am so sorry about the bad news about Ken. I will reply more lengthy to you in an email over the weekend. Yes, the new look came with the “repairs” after the total breakdown of the blog. Very Socal, yes? As to train travel – that is something I miss here. I gave it a try, but it was a rather unsatisfactory experience – you see, I am spoiled after having lived in Europe. There train travel is something one can rely on and it is a good alternative to flying; it was for example faster for me to go to Paris by train than to fly – and much, much more comfortable.